Do You Know All the Advantages of Barefoot Running? Welcome to our monthly newsletter -- The Advantages of Barefoot Running. We hope you enjoy this article and it helps you to improve your running form even if running barefoot is not for you! This article not only talks about the advantages of running barefoot, it includes a fantastic instructional video from Lee Saxby with great tips to help you improve your running form. However, there is one advantage that you probably have not realized and that is: you need to replace your running shoes much less frequently! When I ran in cushioned shoes, I would replace my running shoes after about 800 kms and some runners replace their running shoes even more often than that! Since I starting running in barefoot running shoes, I no longer worry about how much distance I have run in them. Because there is no cushioning to breakdown, there is no need to replace minimalist running shoes until they are completely worn out. As you can see from the picture below, the soles of my running shoes are becoming very worn. I bought these shoes just over 2 years ago and I have been running in them since then. They are not the only shoes I run in but they are still my main running shoes and I intend to run in them until I can no longer wear them; i.e. a hole in the sole, tear in the fabric, they fall apart. Even though the soles are becoming really thin and worn, it doesn't matter. Actually it helps me feel more with my feet when I am running, which is the whole premise behind barefoot running. Anyway, I just love that I can do this and I think it is a great advantage of barefoot running to be able to wear running shoes until they are completely worn out! If you are considering switching to barefoot running, please do it gradually. It is a big adjustment for your body to make especially if you have been running in conventional running shoes for a long time. So please go easy and be patient with yourself. A book I would highly recommend reading on learning how to run barefoot safely and properly is Barefoot Running Step by Step by Barefoot Ken Bob Saxton. He is considered the master and the guru of running barefoot and he has completed 76 marathons barefoot. In his book he shares his personal techniques and provides the latest research on barefoot running. He will teach you how to run barefoot, avoid injuries, but most importantly to have fun while running. The video below is a great introduction to barefoot running and the effect it has on how we run. Lee Saxby (associated with Terra Plana) demonstrates how running in your bare feet or in minimal shoes can help correct your running posture. Lee also demonstrates some very practical drills for improving posture even if you choose not to run barefoot. Terra Plana makes Vivobarefoot shoes so there is some promotion of their shoes, but it is still a great informative video. Check it out! What about you? Do you run barefoot or in minimalist shoes? Has it improved your running? Please share your experience or opinion in the comments below. 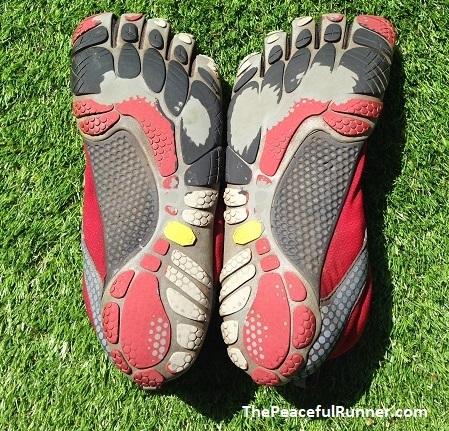 Do You Run Barefoot or in Minimalist Shoes? Has it helped your running? Do you have any advice for anyone who is considering transitioning to barefoot running? Please share your experience. We would love to hear why you decided to make the change to barefoot or minimal running and how you made the transition. Please share your story so other runners can benefit from your experience and feel free to add a picture.